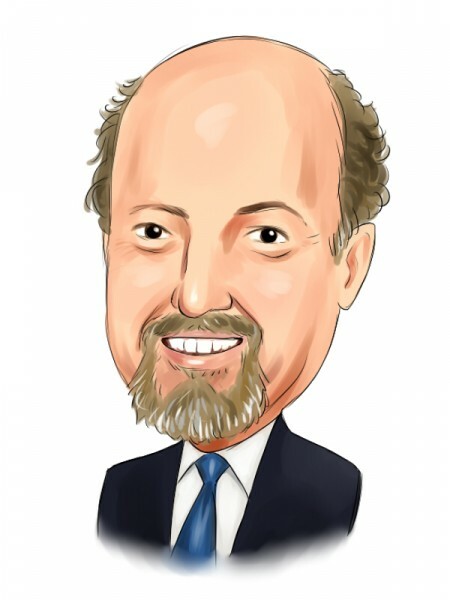 Author and CNBC analyst Jim Cramer offered his first selections of the season for his annual fantasy stock portfolio team yesterday on Mad Money. The former hedge fund manager revealed he did the same at his hedge fund and drew parallels between building a portfolio and picking a fantasy football team. At his first two selections, representing the vital quarterback positions in football, Cramer tapped Under Armour Inc (NYSE:UA) and The Home Depot, Inc. (NYSE:HD) to be the Tom Brady and Drew Brees of his portfolio, citing their consistency. “Like Brady, Home Depot just delivers and delivers. It’s a pocket passer with incredible consistency. Hear me out, I know about the glitch, just one second. Why should you draft Home Depot? Here’s a company with over 2,200 stores across the United States that had been hurt by the recent weakness in housing, but no more,” Cramer said. That glitch Cramer referred to was the revelation yesterday that The Home Depot, Inc. (NYSE:HD) may have been the latest major retailer to suffer a breach by hackers. That news sent The Home Depot, Inc. (NYSE:HD)’s stock tumbling 2% yesterday to $91.15. Cramer sees this as an opportunistic time for investors to hop on board as a result, and predicts that downturn will only be temporary for the “champion stock”. Cramer’s second QB selection is Under Armour Inc (NYSE:UA), which he compared to Drew Brees in that they both continually put up excellent numbers. While admitting that the stock is high-priced, trading at nearly 60 times 2015 expected revenue, Cramer believes Under Armour Inc (NYSE:UA) is the strongest retail stock in the world with the possible exception of Skechers USA Inc (NYSE:SKX). Being driven by phenomenal growth in several promising and growing sectors, and charged by boundless innovation in products (Cramer called it a “stealth technology” company), he places a modest estimate on Under Armour Inc (NYSE:UA) of having the capability of being a $10 billion brand. It should be noted that Cramer is not considering any of the picks made last year for inclusion on this year’s fantasy stock team. His selections last year included Starbucks Corporation (NASDAQ:SBUX), 3M Co (NYSE:MMM), and The Boeing Company (NYSE:BA), all of which are up a moderate amount over the past year.